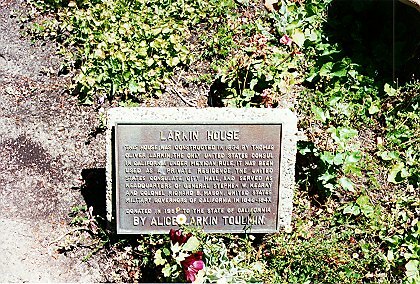 This house was constructed in 1834 by Thomas Oliver Larkin, the only United States Consul in California under Mexican rule. 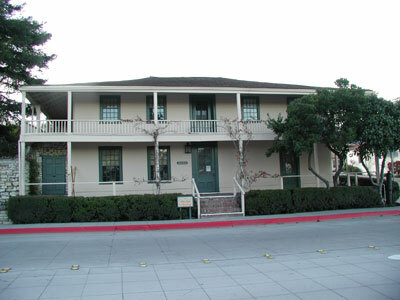 It has been used as a private residence, the United States consulate, city hall, and served as headquarters of General Stephen W. Kearny and Colonel Richard B. Mason, United States military governors of California in 1846-1847. Monterey State Historic Park, SW corner of Jefferson and Calle Principal, Monterey.